Mountain Wilderness Switzerland organizes near Blatten in the Valais (Switzerland), during the weekend of February 28/March 1, a march for the respect of silence in the mountains. Blatten is a village in Lötschental in the Bernese Alps, having a large part of its territory lying in the protected site of Jungfrau-Aletsch, registered as a UNESCO World Heritage. Blatten should not be confused with the ski resort Blatten near Naters located about 15 km southeast in a straight line. Saturday: starting in Blatten a hike on snowshoes or cross country skis, via Fafleralp along the river Lonza will lead the participants to a reasonably flat area north of “Gandere” (about 7 km, vertical drop +450m, ~ 2 hours). In the afternoon, igloo building / snow caves, and dinner. 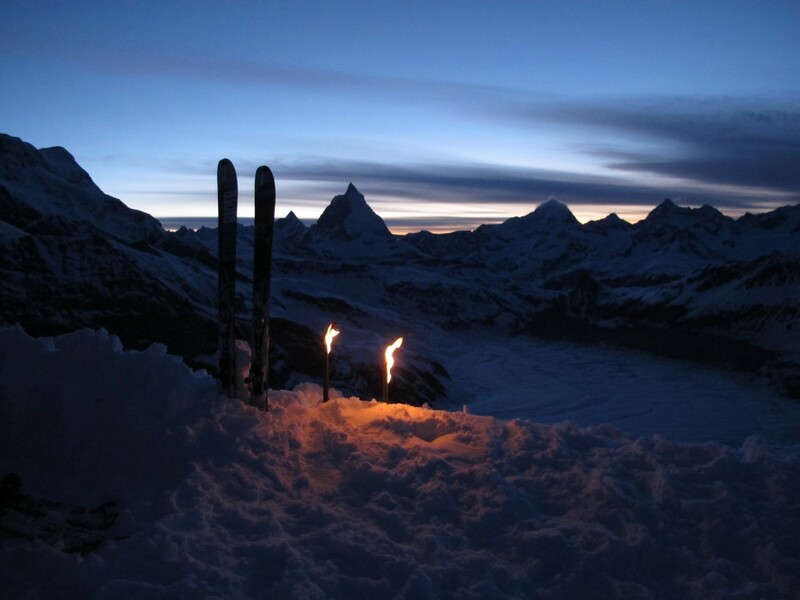 At dusk “March for Silence” with the help of torches, the word “Silence” will be written in the snow to protest against the increasing noise problem in the mountains. The torches will be provided by Mountain Wilderness. Sunday, ski touring or snowshoeing with two high mountain guides: Alexander and Walter. Back: Sunday afternoon, departure every hour by public transport .28 from Blatten.